From 22-28 September 2014, World Reflexology Week aims to bring awareness and to promote the benefits of reflexology. Reflexology is a non-intrusive complementary health therapy, based on the theory that different points on the feet, which correspond with different areas of the body. Reflexologists work holistically with their clients and aim to work alongside allopathic healthcare to promote better health for their clients. Our reflexologists do not claim to cure, diagnose or prescribe. Reflexology is a very individual treatment which is tailored to you as a whole person, taking into account both physical and non-physical factors that might be affecting your wellbeing. Some people find it works for them – some don’t. The best way to find out is to try it! The theory is that reflexology helps the body to restore its balance naturally. Usually, after a treatment your tension may be reduced and you might feel relaxed. You might also notice yourself sleeping better and find your mood and sense of wellbeing improving. You may also find that other aspects improve too; however, this happens on an individual basis. There have been some positive research projects carried out with reflexology; as yet, there is not a large enough body of evidence for clinical claims of effectiveness to be made. With ever increasing levels of stress in everyday life, it is important for people to take more responsibility for their own healthcare needs. Reflexology may be one of the ways to mitigate the stresses of modern life. And if Reflexology couldn’t sound any better, what most patients didn’t know is reflexology is a complimentary treatment part of most health care cash back plans. For more information check your health care policy. 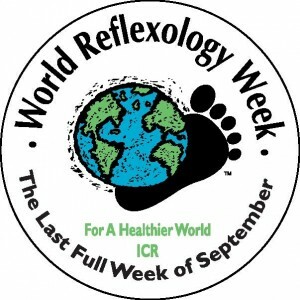 So give reflexology a go this week and feel its unique benefits today.